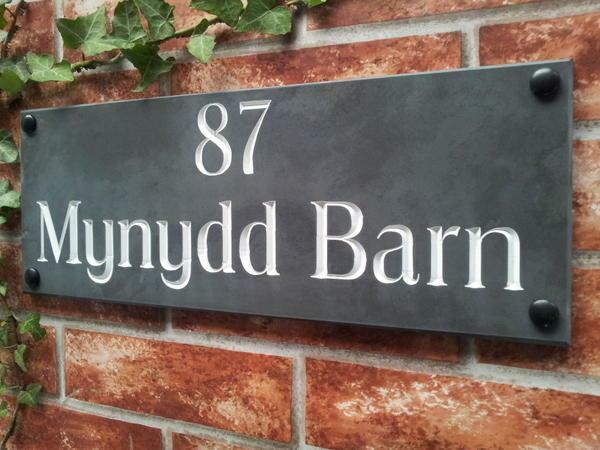 House plaque suitable for a house name or a home address in two lines of text. This traditional product is made on the Isle of Wight and features deep v-carved engraving. It looks fabulous. Thank you. 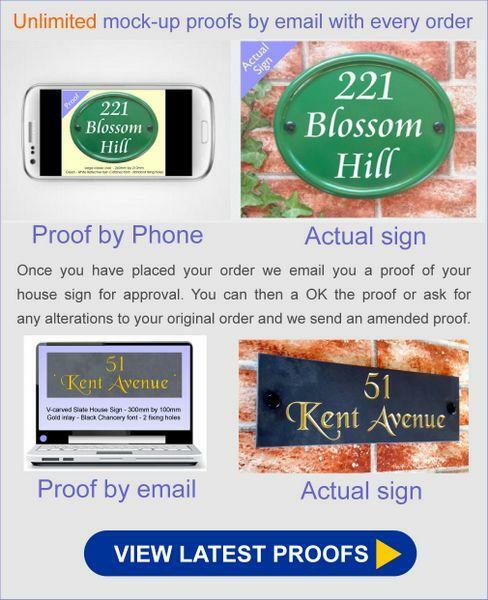 We have received our house sign this week as promised and would like to thankyou for your excellent service and friendly contact. 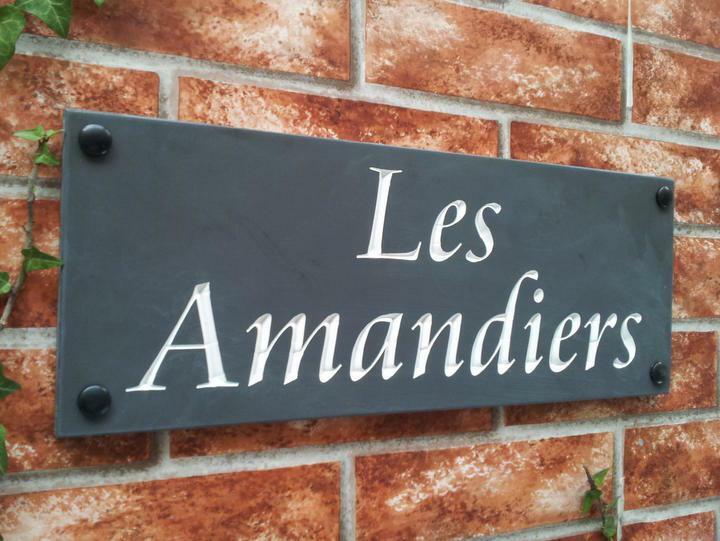 We are really pleased with our house sign it is great quality and workmanship, we can't wait to show it to our friends, we will certainly recommend you to everybody. Thankyou again we wish you continued success. The sign arrived safely today, very well-packaged. We're VERY pleased with the look of it - it looks even better than the samples do online. Thank you! Just to let you know I have now received our nameplate and is now on our wall and is admired by all with very good comments. Thank you once again. Just to let you know the sign arrived today. It looks great! Thanks for doing such a good job. Many thanks. 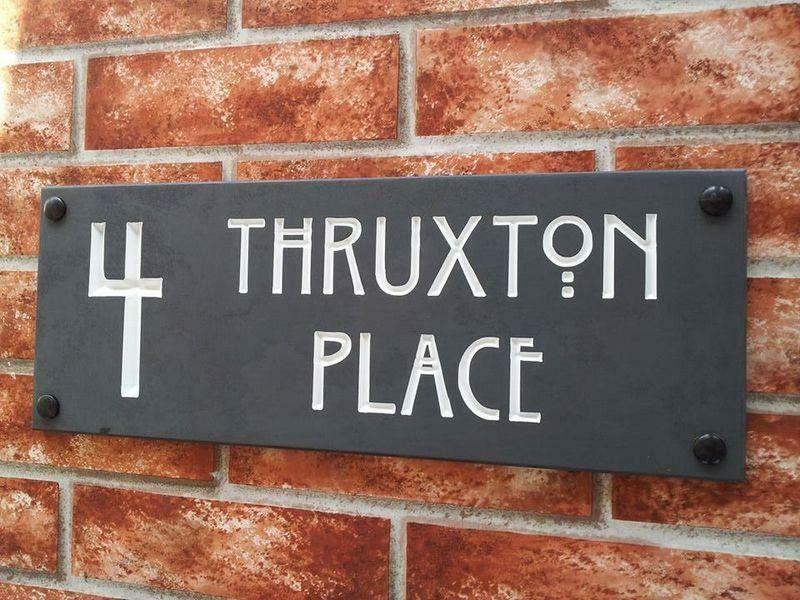 Hi, just to let you know we received our house sign and are very pleased with it. Thank you very much. A very professional company who keep you informed at all times. The sign arrived beautifully wrapped and protected. It is a stunning piece of work. We chose Black Chancery in silver. The photos just cannot do justice to the reality. Every time I get home I stand and admire it. It exudes quality. Many thanks for the finishing touch to our new reception. 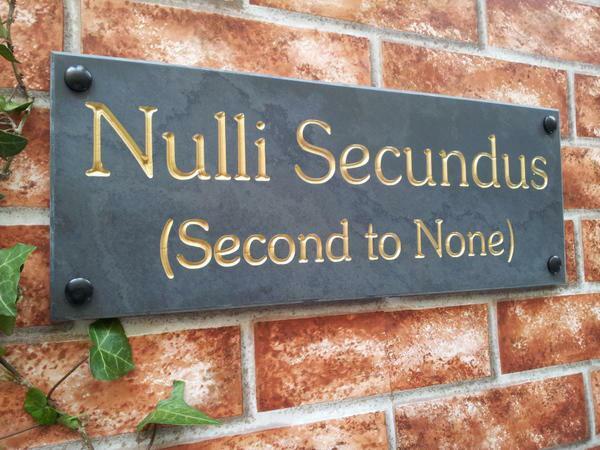 It took me two years to persuade my husband that we really did need a new house sign so when I found your company I was delighted with the ease of choosing & ordering a sign. When I had the first proof I decided to go for a larger sign & that change was handled with ease as well. 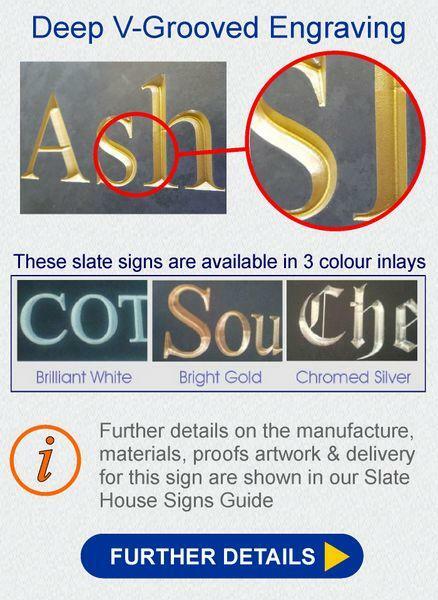 The sign arrived within two weeks, was extremely well packaged & the quality is superb - even my husband is pleased with it! Thank you very much for your excellent service.